The CVS302 Hoplite is being developed in two variants namely, Hoplite-S and Hoplite-L. The Hoplite-S is a utility missile intended for basic and supportive missions. The Hoplite-L is a high capability missile developed for mission critical and remote engagements. The CVS302 Hoplite missile was introduced at Paris Air Show held in June 2013. The CVS302 Hoplite is an indirect precision attack missile being developed by MBDA. The vertically-launched missile is developed under the fourth and most recent concept visions programme of MBDA. The CVS302 Hoplite missile was first displayed at Paris Air Show in June 2013. The missile can be deployed in mission critical operations in congested environments. The Hoplite missile is intended to provide precision striking capability required for both naval and ground forces in 2035 and onwards. The missile can fly at speeds of 2,100km/h at low attitudes and 2,400km/h at high altitudes. The Hoplite contains a one-shot, one-kill precision system, which together with the automatic trajectory planning helps to minimise the complexity of operations, time spent on planning and reduce the collateral damage. The CVS302 Hoplite is designed to operate at a speeds ranging from Mach 0.6 to Mach 3.5. The missile is equipped with the latest technology to co-ordinate salvo firings for attack on multiple targets. The mission control system of the CV302 Hoplite helps the operator to control the missile from a remote place. The missile is capable of planning its own path using its own sensors and guiding system, without taking much help from the GPS system. "The missile is capable of planning its own path using its own sensors and guiding system, without taking much help from the GPS system." The missile is also designed to change its direction midway during flight to hide the identity of the launching place/origin. The CVS302 Hoplite is being developed in two variants, Hoplite-S and Hoplite-L. The Hoplite-S is a utility variant intended for basic and supportive missions. It is designed to navigate through contested air space. It is fitted with stealthy altimeter functions as well as a versatile laser detection and ranging (LADAR) seeker to track targets. The missile obtains third-party mission updates and can receive targeting aid from Hoplite-L in co-ordinated strikes. The Hoplite-S has a length of 3,200mm and a diameter of 180mm. It weighs 120kg, and can travel a maximum distance of 160km. It can cruise at speeds between Mach 1.5 to 3.5. The Hoplite-L is a high capability missile developed for mission critical and remote engagements. 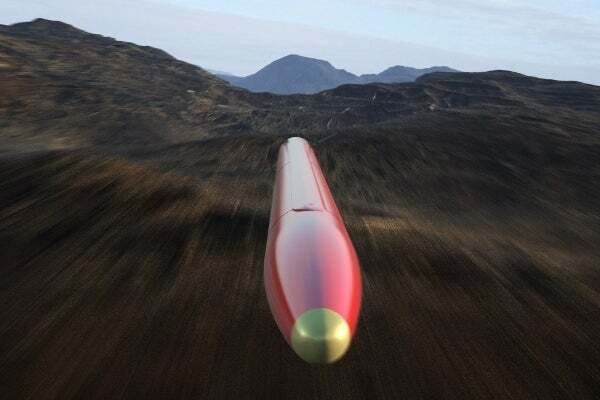 The missile is fitted with a boosted kinetic energy penetrator warhead, which is accelerated by the airframe of the missile to break hard targets. This helps to destroy all kinds of targets at variable speeds. The salvo strikes are co-ordinated by the missile using a datalink and laser. The propulsion system onboard the Hoplite-L missile allows rapid deceleration for operator-in-the-loop (OITL) targeting via two-way datalink. The Hoplite-L has a diameter of 180mm and length of 3,750mm. The missile weighs approximately 135kg and can travel a maximum range of 140km, with a speed between Mach 0.6 to Mach 3. The spot-scanning LADAR system installed on both the missile variants offers 3D imaging, target recognition, semi-active laser (SAL reception), fusing and altimeter statistics. "The Hoplite missile is intended to provide precision striking capability required for both naval and ground forces in 2035 and onwards." The multimode seeker installed on Hoplite-L helps to detect targets up to 30km away in difficult environments and provides countermeasures. The missile can be launched from vertical launch systems aboard the land-based platforms and naval ships. The compact launcher integrates soft vertical launch (SVL) to deliver a quick response against threats. The non-ballistic trajectory of the missile protects the identity of the launch platform from enemies. The CVS302 Hoplite is powered by an air turbo-rocket propulsion system. The propulsion system includes an integrated boost motor providing a speed greater than Mach 2. The air turbo-rocket installed on the missile offers the advantages of solid rocket motors and gas turbines. This arrangement also helps in quick accelerations and decelerations, which are essential characteristics of missiles. The Long Range Anti-Ship Missile (LRASM) is an autonomous, precision-guided anti-ship stand-off missile.